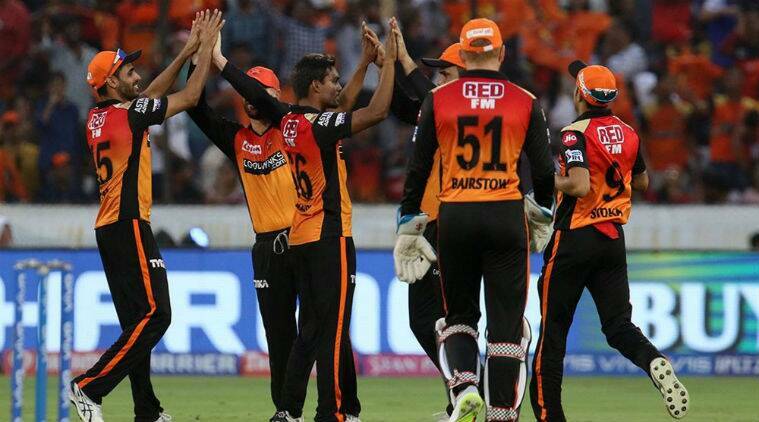 IPL 2019 SRH vs MI Live Match Cricket Score Streaming Online: The Indian Premier League (IPL) is one of the most watched cricket tournaments in India. The 12th season of this tournament is currently underway and today we will get to see the 19th match of the league between Sunrisers Hyderabad (SRH) and Mumbai Indians (MI). The match will take place at the Rajiv Gandhi Intl. Cricket Stadium in Hyderabad. SRH will be led by Bhuvneshwar Kumar, while MI will be led by Rohit Sharma. The match will begin at 8:00 PM IST, with the toss taking place at 7:30 PM IST. SRH have won the toss and chose to field. Star Network has got the official rights to broadcast and digitally stream all the IPL 2019 matches in India. Apart from broadcasting all IPL 2019 matches on its Star Sports 1 and Star Sports 1 HD channels, the company will be live streaming the matches on its digital streaming service Hotstar. To watch the SRH vs MI match live on Hotstar, the users are required to have a Hotstar premium or Hotstar VIP subscription. The Hotstar premium costs Rs 199 per month. However, one can also opt for the Rs 999 annual subscription plan. The Hotstar VIP membership costs Rs 365 a year. The Hotstar app is available on the web, Android and iOS and on Amazon Fire TV stick. Reliance Jio customers can also watch the SRH vs MI match live on its JioTV mobile app and website. However, to watch the match live on JioTV, users of Reliance Jio need to have a Jio Prime subscription, which costs Rs 99 per year along with an active tariff plan. Users must note that the service is only available when they are using Jio’s internet and not any other SIM or WiFi. The JioTV app is currently available on KaiOS, Android and iOS. Lastly, Airtel customers will also be able to watch the SRH vs MI match live on the Airtel TV app, which is available on both Android and iOS platform. All Airtel users can watch the match live free of cost.